Strolling northwards at the lower end of St Mary Street I pass under the railway bridge drawn by the magnificent site of the Victorian thoroughfare ahead. I try to ignore the modern overpowering hotels to my right and left because us cool cats have an appreciation of history and what it has brought to a place. Suddenly I feel a shimmying movement in my legs (four are always better than two, so I am told), as I involuntarily respond to the sounds and smells of Brazil. 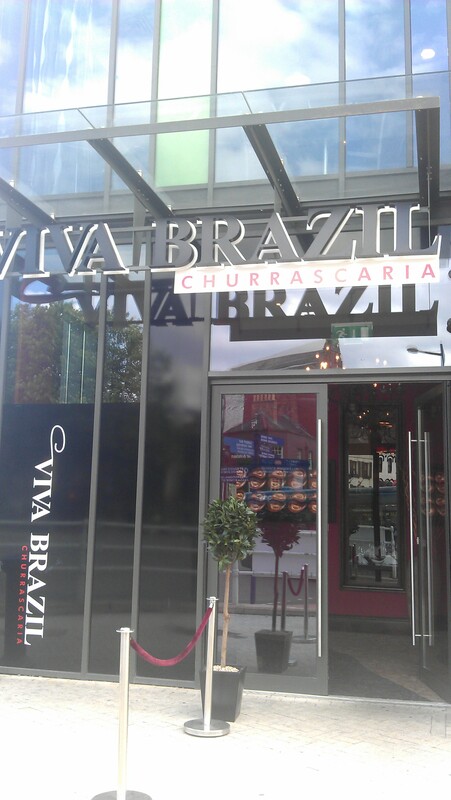 I drift back in my memory to a previous life when I was a panther able to bring down and devour wild beasts, but fortunately for the afternoon shoppers and early city centre revellers, I come across a restaurant of infinite potential and delight… I am greeted by Viva Brazil. I decide this is a must for my human carnivore and friends. On their return they are so full of the experience they don’t even stop to thank me for the tip off. I dive behind the sofa before they turn into a demented bunch of Samba cats themselves. 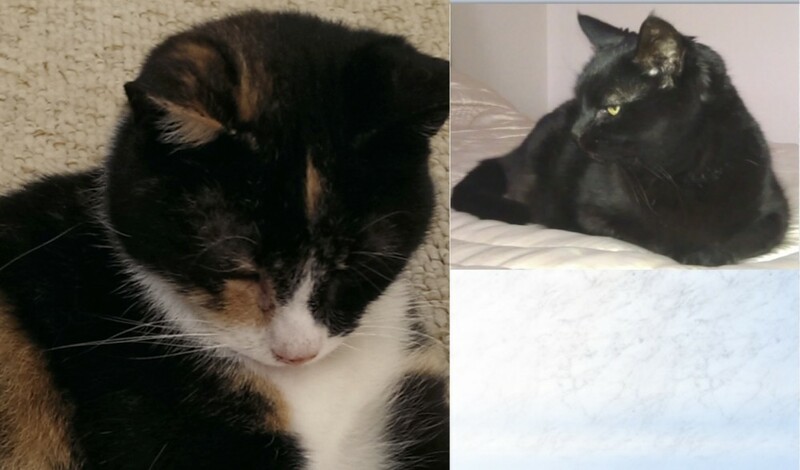 All I hear about is ‘the meats’, ‘the non-stop skewers of freshly cooked meats’… and here am I looking into that bowl of rocks that is supposed to pass for cat food again. ‘Churrascaria’, I meow at them… don’t you people understand the cultural nuances when you go out to eat! The 15 or so meats are slow barbecued in this Portuguese/Brazilian style, and when you sit at your table they will be brought to you on skewers by the ‘passadores’ who will cut the meat at your table while you hold the slices with tiny tweezers provided on the table. This is known as a rodizio style of service, and you just eat as much as you like. The red and green sided beer mat on your table is not for standing drinks on, it is your signal to the meat-wielders whether your stomach is open for business, or you are just stuffed. I am told that one good tip is not to eat much at all earlier in the day, as this stuff is not just plentiful but beautifully cooked on the charcoal barbecue. Load up as often as you like from a central salad bar with so many delicious Brazilian stews, with salads, fruit, breads, and rice dishes. Isn’t it nice when you can taste so many different flavours without generally having a clue what exactly you are eating… well, looking at my cat bowl I wouldn’t know about that. I also drink a lot of water so you don’t have to… and judging from my samba compatriots here, it doesn’t look like they drank much water either. But they are a bit fussy about their wines, and seem to be moaning on a little about how they could have made better choices for gargling considering the range of wines and cocktails the place had on offer. They say another tip is to book, as this place gets busy, often. A good sign if I ever heard of one. But it is cheaper if you sit down to eat before 17.00. So, if you are there on a less busy early evening they are lenient about you staying beyond an allotted two hours, otherwise you might feel a little time-limited for such gastric wonders. Then again, you can always pay the evening price and go for broke. Next time my personal food fascist leaves me with the delights of scientifically prepared cat crunch, and goes on another Latin American excursion around the corner, my suggestion is to ditch the much overused doggie-bag idea and get with the programme on cat-suitcase-sized take-outs. I’ve been Juno so you can be a little wiser… and I’m watching you. This entry was posted in Foody cat and tagged Brazil, Cardiff, Cat, charcoal barbecue, eating out, Latin America, meat, Rio de Janeiro, rodizio, Samba, viva brazil by Steve Morgan. Bookmark the permalink.